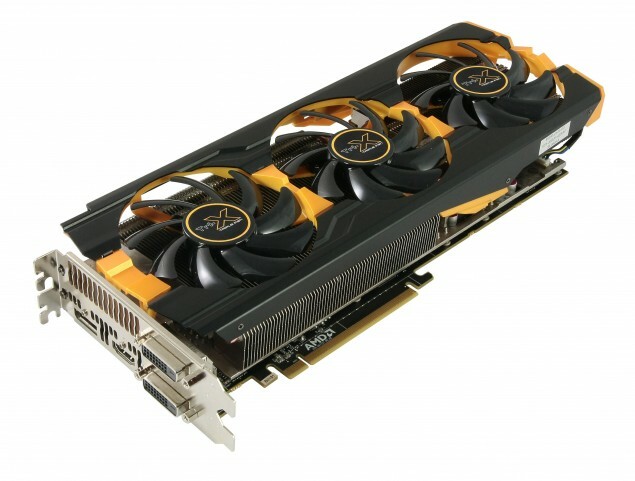 Sapphire Technology has unveiled their latest Radeon R9 290X and Radeon R9 290 Tri-X series graphic cards. The new Radeon R9 290X Tri-X features the triple slot Tri-X cooler along with a factory overclock which delivers faster performance over reference variants. Sapphire has announced two Tri-X series based graphics cards today, the Radeon R9 290X Tri-X and Radeon R9 290 Tri-X. As we all know, the Radeon R9 290X features 2816 Stream processors, 176 TMUs and 64 ROPs along with a 4 GB GDDR5 VRAM running along a 512-bit memory interface. The Sapphire Radeon R9 290X is clocked at 1040 MHz for the core and 5200 MHz effective clock for the memory. Power is provided through an 8+6 Pin configuration while display outputs include Dual-Link DVI, HDMI and a Display port. The card is priced at $569.99 US and would be available starting today. The Radeon R9 290 on the other hand features the Hawaii Pro core with 2560 Stream processors, 160 TMUs, 64 ROPs, a 4 GB GDDR5 memory and a 512-bit bus interface. The clocks are maintained at 1000 MHz for the core and 5200 MHz effective clock for the memory. Power is provided through an 8+6 Pin configuration while display outputs include Dual-Link DVI, HDMI and a Display port. The card is priced at $429.99 US and would be available starting today. Both cards share the same Tri-X cooler which features Sapphire’s top of the line triple fan cooling design which was also featured on the Radeon R9 280X and Radeon R9 270X Toxic edition graphic cards. The Sapphire Tri-X cooler uses three fans with dust repelling bearings and aerofoil section blades to deliver highly efficient airflow at low noise levels, and the fan cowling is designed to ensure the airflow is routed across the hottest areas of the card. In addition to the cooler, the Sapphire card also features Dual-BIOS which is a good addition for overclocks. 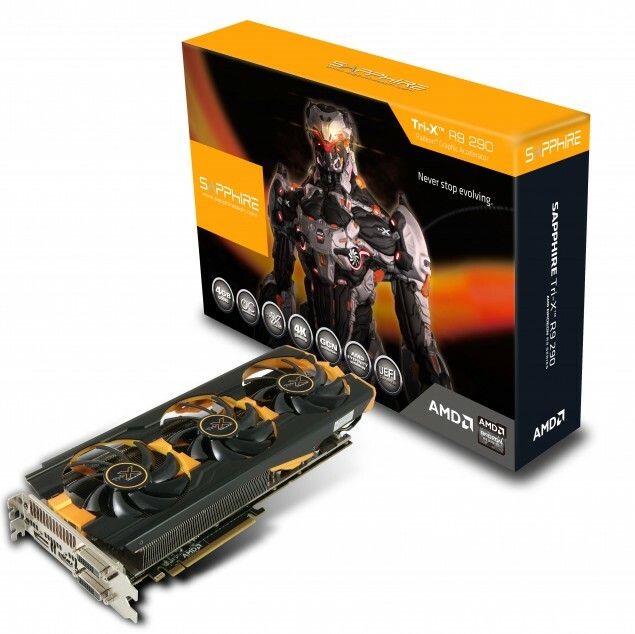 Press Release – SAPPHIRE Technology has just announced two new models of its top of the range R9 290 and R9 290X graphics cards. Both models feature the SAPPHIRE exclusive Tri-X triple fan cooler, enhanced clocks and dual BIOS. The SAPPHIRE R9 290X Tri-X features the latest GCN (graphics core next) architecture from AMD with 2816 stream processing units and an enhanced engine clock of up to 1040Mhz. It is equipped with 4GB of the latest high performance GDDR5 memory on a 512-bit interface and now clocked at 1300 MHz (5.2GHz effective) delivering higher bandwidth than the reference design. 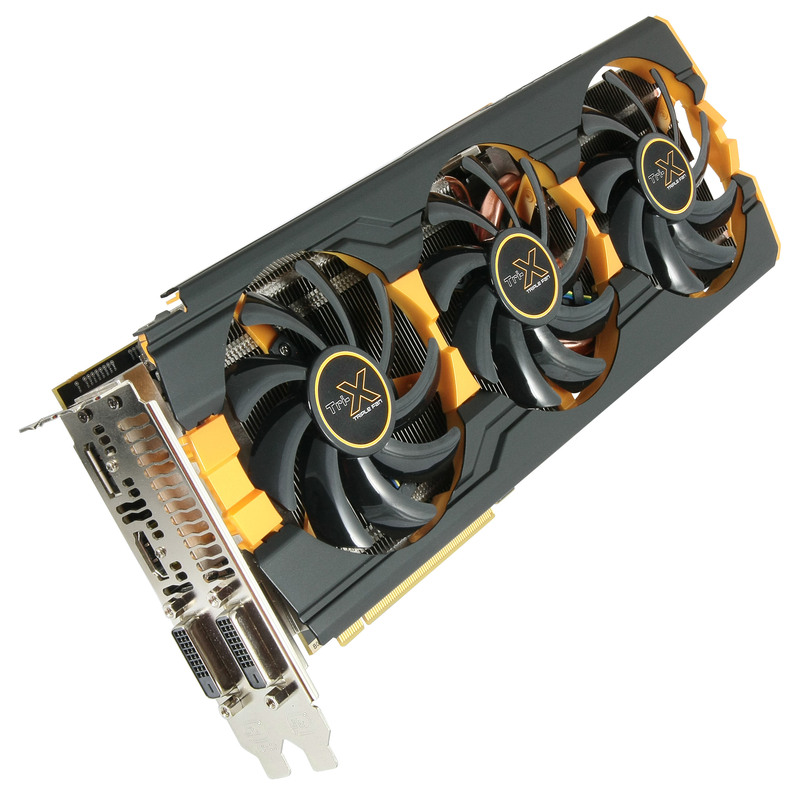 The SAPPHIRE R9 290 Tri-X has 2560 stream processing units and an engine clock of up to 1000 Mhz. It is also equipped with 4GB of the latest high performance GDDR5 memory on a 512-bit interface and clocked at 1300 MHz (5.2GHz effective). Both models are based on reference design pcbs with custom cooling developed by SAPPHIRE. The SAPPHIRE Tri-X cooler, first introduced on the R9 280X TOXIC edition to great acclaim, uses three fans with dust repelling bearings and aerofoil section blades to deliver highly efficient airflow at low noise levels, and the fan cowling is designed to ensure the airflow is routed across the hottest areas of the card. Cooling is especially important in the R9 290 series because performance is capped by the system as the GPU temperature reaches higher levels. Therefore, by providing better cooling, maximum performance levels can be raised. SAPPHIRE has also tailored the fan speed profiles on the Tri-X models to a transitional linear mode which the company believes achieves the best sustainable performance with lower GPU temperatures. Internal testing has shown the Tri-X cooler can achieve operating temperatures much lower than the reference design. With support for Ultra HD (4K displays) and AMD Eyefinity multi-screen technology, the SAPPHIRE R9 290 series maximises the visual experience for work or play with superior image quality and high resolution displays. It uses the PCI-Express 3.0 interface and supports multiple cards in AMD CrossFire natively without the need for bridge cables. The SAPPHIRE R9 290 series is also equipped with the new AMD TrueAudio technology which brings a heightened level of audio immersion, surrounding gamers with realistic audio environments whether it is through stereo headsets or speakers. A dedicated audio processor in the GPU enables the SAPPHIRE R9 290 series to deliver a richer and deeply immersive soundscape, including true to life echoes, convolution reverbs and incredibly realistic surround sound environments. In addition to superior cooling and performance, SAPPHIRE has also implemented DUAL BIOS on the Tri-X models, ensuring that the cards boot and deliver maximum performance in systems with both UEFI and legacy BIOS implementations. SAPPHIRE Tri-X models are in production now and will be available from SAPPHIRE’s usual etail and retail partners. Retail products will also include specially packaged models with a promotion for a free copy of the highly successful game, Battlefield 4.